Osaka might not exude beauty the way Kyoto might, but the city definitely has charm, color, and great food. Set in the Kansai region, Japan’s third largest city is extremely well connected and has plenty of surprises in store. If you’re a foodie, Osaka is the place to be. Its unofficial slogan is kruidaore which means ‘eat until you drop’. A highly photogenic spot in the city is Dōtombori, here you will find several pedestrian streets and numerous illuminated billboards. One of the most famous signs is the Glico Running Man. An absolute must while in Osaka is the Osaka-jō Castle. After General Toyotomi Hideyoshi unified Japan in the late 16th century he built this castle to display his power. It is said that it was built by 100,000 workers. The castle is surrounded by a park and moat you can check out the view from the 8th-floor observation deck. One of the advantages of staying in Osaka is the possibility to go to multiple places by taking the JR bullet trains. From Osaka, you can easily take the train with your Japan Rail Pass and head to Nara, home to the imposing Todai-ji Temple. You can also take a day trip to Kobe from Osaka, you’ll get to Kobe in just 13 minutes. Read further to discover the top day trips you can take from Osaka by train. If you want to travel to Kobe from Osaka by train you need to know that there are two main destinations: the Sannomiya area and Shin-Kobe. 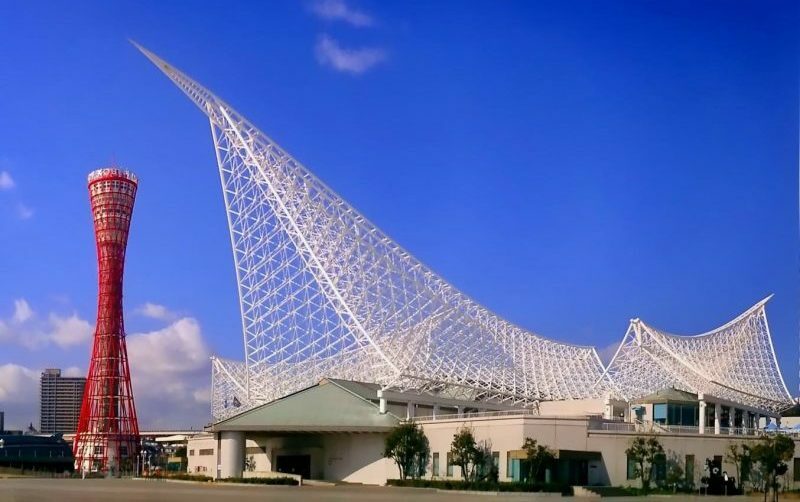 Out of the two, the most convenient is Sannomiya because you will have immediate access to the main shopping, business, and entertainment area in Kobe. You can travel from Shin-Osaka to Shin-Kobe station in only 13 minutes with the Japan Rail Pass. Once you’re in Kobe you will be able to explore the city. Kobe is one of Japan’s most attractive cities. On its early days, Kobe was an important gateway for trade with China. The city is relatively small which allows foreign visitors to wander and stop by for a coffee or a bite to eat. A few great neighborhoods to explore are the Kitano-chõ and Nankinmachi Chinatown. While in Kobe you might want to try some sake and get to know its history. Head to Hakutsure Sake Brewery Museum. The wooden building, formerly the brewery, will take you down the history of sake and the process of making it. A free sake tasting is available after the tour. Travel from Osaka to Nara will be quick and easy with your JR Pass. Two train lines connect Osaka with Nara, the JR Yamatoji Line, and the Kintetsu Nara Line. The JR line is included in the Japan Rail Pass and if you take this train you will get to Nara in 50 minutes. Nara is well-known for its ancient shrines and temples. It’s home to eight Unesco World Heritage Sites making Nara a cultural legacy. The city is quite small and you will be able to see the highlights in a single day. When in Nara, you should stop by the Buddhist temple Tōdai-ji. 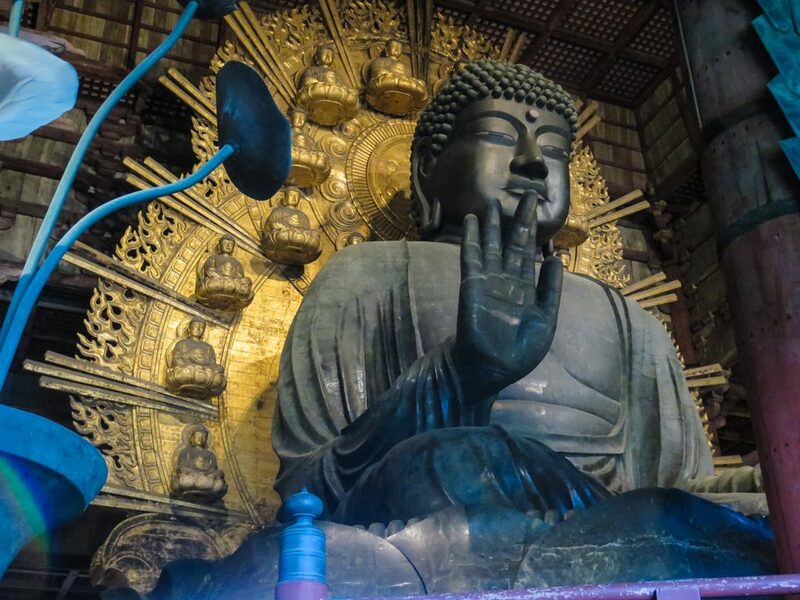 Here you will marvel at the famous Daibutsu, or Great Buddha, the star of this Unesco World Heritage site. The statue is one of the largest bronze figures in the world and it was made in 746. Another great stop in Nara is the Kasuga Taisha shrine. Founded in the 8th century, is at the bottom of a hill. The pathways and shrine are lined with hundreds of lanterns and are illuminated during the Mantōrō lantern festivals held in February and August. Koyasan or Kōya-san, also known as Mount Koya, is a Unesco World Heritage Site. The Nankai Koya Line is the best connection between Osaka and Koyasan. You can take the train at Osaka’s Nankai Namba Station and get off at Gokurakubashi Station at the base of Mount Koya. The ride is about 90 minutes and upon arrival, you can take a bus to reach the main tourist area. 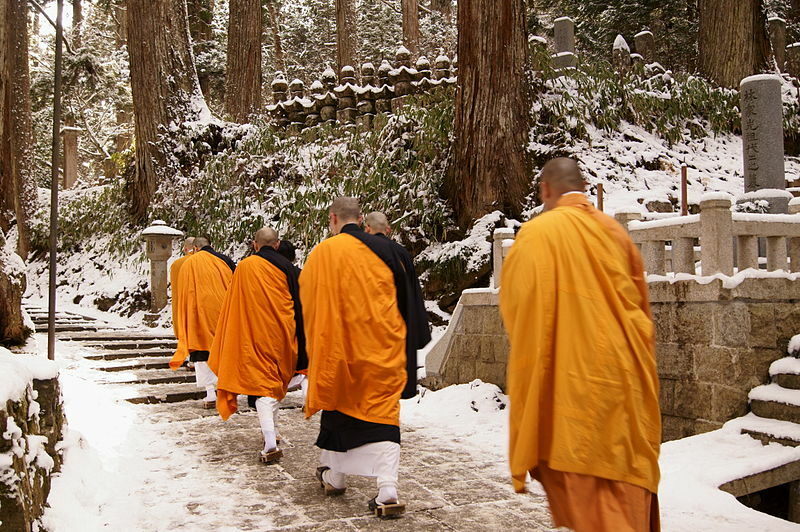 The main attraction is the Kōya-san monastic complex, the headquarters of the Shingon school of Esoteric Buddhism. It is one of Japan’s most mystical destinations and you will be able to learn about Japan’s long-held religious traditions. If you want to see stunning gardens, temples and traditional teahouses you should visit Kyoto. Traveling to Kyoto from Osaka is fairly easy and the trip will take less than 30 minutes with the JR Special Rapid Service. Kyoto is home to nearly 2000 temples and shrines. 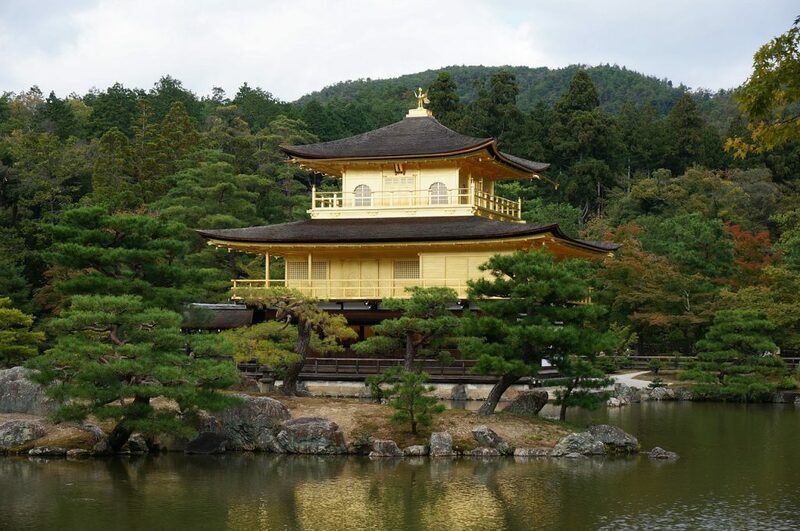 The Kinkaku-ji, the Golden Pavilion, will leave you speechless. When in Kyoto you should also go to the Fushimi Inari-Taisha shrine, set in the south of Kyoto. There are countless arcades of shrine gates spread across the complex. Dedicated to the gods of rice and sake in the 8th century, Fushimi Inari has hundreds of stone foxes and will be a memorable experience for any traveler. This picture perfect destination has many more attractions worth considering. Take some time to go to Gion, the entertainment and geisha quarter. A perfect day trip from Osaka is Naoshima. To get to the artistic island of Naoshima go from Sin-Osaka Station and take the JR Sanyo Shinkansen Line to Okayama using the Sakura train or the Hikari train. The trip can take between 50 to 70 minutes depending on the train you take. Once you’re in Okayama Station take the JR Uno Line to Uno Station and upon arrival head to the ferry terminal just across the street. The boat ride will take approximately 20 minutes. Naoshima is the location of the Benesse Art Site where you will be able to see some of Japan’s best contemporary art against a beautiful natural backdrop. The Benesse Corporation chose Naoshima as the ideal setting to grow their collection in the early 90s. From that moment on, Naoshima has evolved and transformed constantly. It has attracted many artists from all over the country. 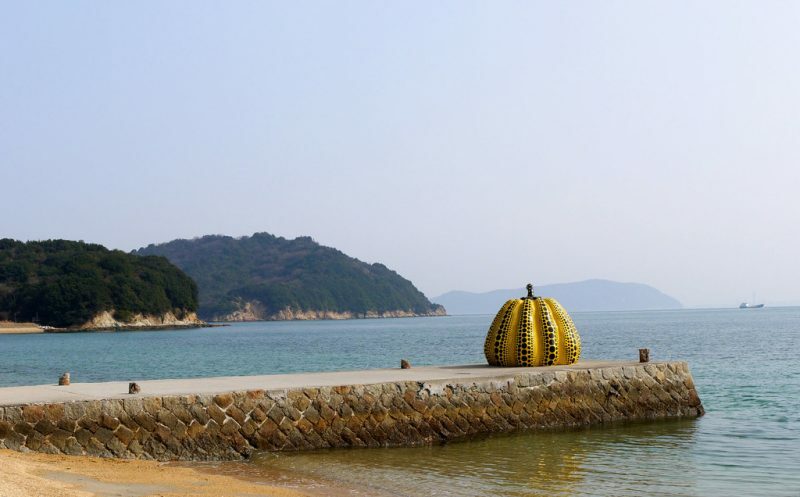 Besides the museums, there are some outdoor sculptures located on the coast including the Yellow Pumpkin by Kusama Yayoi. 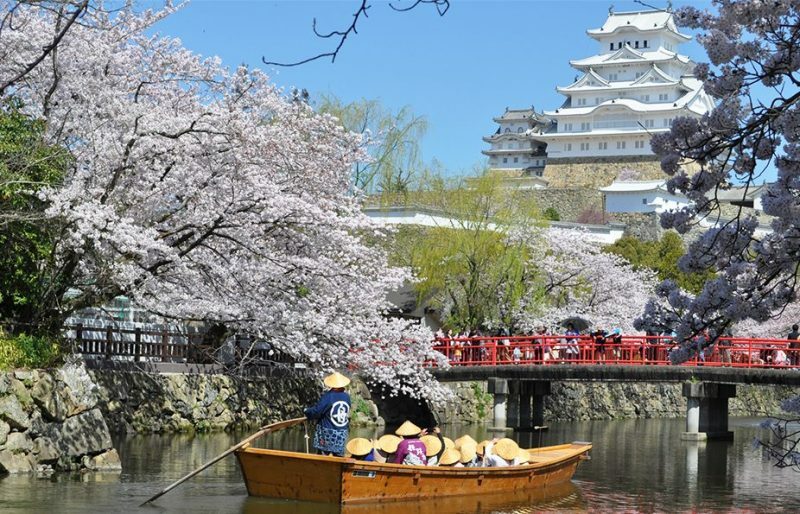 To reach Japan’s most beautiful castle from Osaka you have several options. You can take the Hiraki train from Shin-Osaka for a direct journey. When you arrive at the Himeji station exit via the Central Ticket Gate and take the North Exit. Walk down Otemaedori Street and you’ll be at the castle in about 20 minutes. 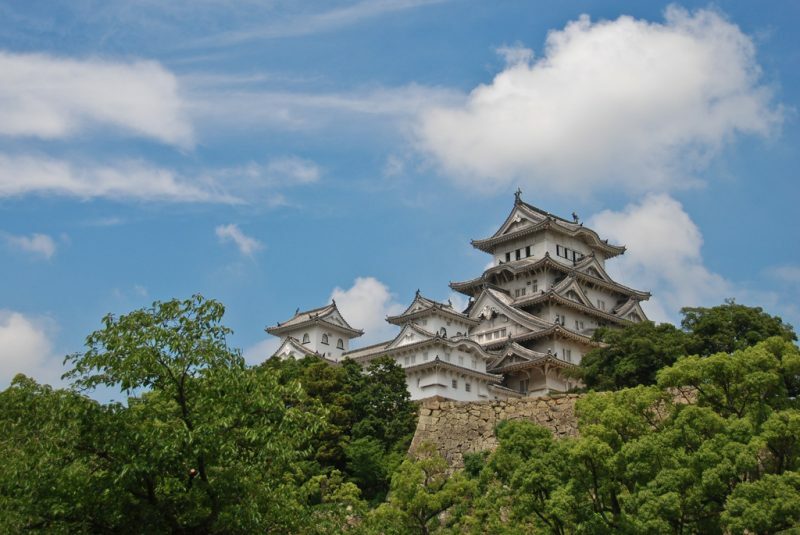 If you are passionate about history, a day trip to Himeji Castle will be worth your time. The castle was recently renovated and it towers over the city. A great destination for photography lovers, Himeji compromises 83 rooms with defensive systems. The construction of the castle dates back to 1333 and has been remodeled several times. To reach Okayama from Osaka you will be able to take the train using your Japan Rail Pass. As mentioned previously, take the JR Sanyo Shinkansen Line using the Sakura or Hikari train. After exploring Okayama you can continue your journey to Kurashiki, the trip generally lasts 15 minutes. It is fully covered by your JR Pass. The main attraction in Kurashiki is the atmospheric Bican quarter. Here you will find several historic buildings along an old willow edged canal. In the feudal era there were warehouses were rice was stored. Several of these warehouses have now been turned into museums. Many Japanese tourists also visit the Ohara Museum of Art that features European art. If you wish to go to Miyajima from Osaka, you will most likely need to travel to Hiroshima first. Some travelers actually spend some time in Hiroshima City before they continue with their trip to Miyajima. 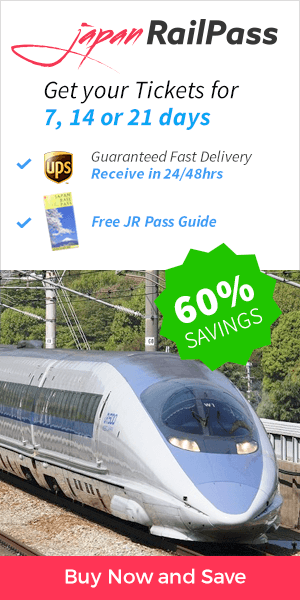 From Osaka to Hiroshima you can take a JR train with your Japan Rail Pass. Once in Hiroshima, you can take a tram or train to Miyajimaguchi Station from where you need to board on a ferry to get to the island. The small island of Miyajima is a Unesco World Heritage Site. 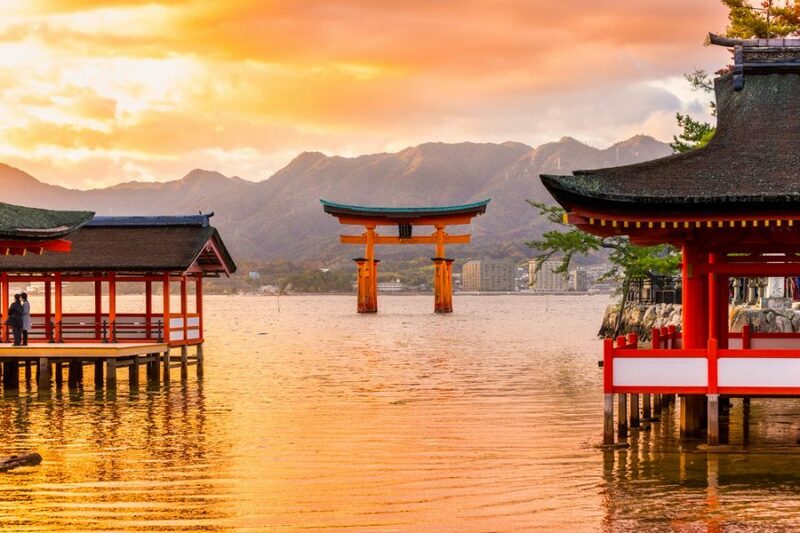 A highly photographed spot in the island is the vermilion torii (shrine gate) of Itsukushima-jinja, which appears to be floating when there’s high tide. In Miyajima, you will also find temples and plenty of deer who aren’t scared of people. Hi Sunita! The Japan Rail Pass includes unlimited access to the Osaka Loop Line. For a sample itinerary around Osaka’s main attractions we recommend you to check our 3 days in Osaka itinerary: Best things to do article. Happy travels!